Styled to please and perform. 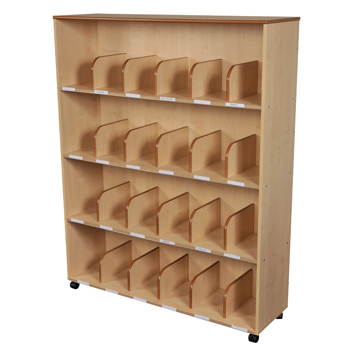 Fixed MDF uprights help keep books neat and upright, whilst the plastic labelling facility on each bookshelf lip means clear identification of contents is simple – white labels not included. Manufactured from 15mm MDF with lockable castors for mobility. All corners have rounded and polished edges. Supplied flat packed.